The first Puzzle & Dragons collaboration with the classic anime series Fist of the North Star was a success, so why not do it again? Why not, indeed. New characters from Fist of the North Star have returned to GungHo Online Entertainment’s mobile gaming hit today, and are sticking around only until December 6. A new Dungeon has popped up to celebrate the event, complete with four difficulty levels: Intermediate, Expert, Master and Conqueror. 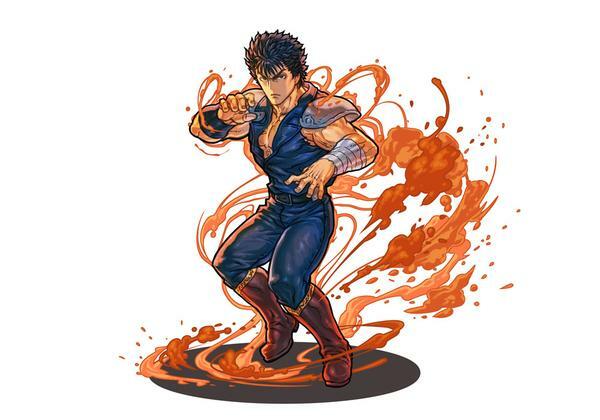 You’ll also be able to take advantage of new Ultimate Evolutions from existing fan favorites, like Hokuto Shinken’s Successor, Kenshiro and The Greatest Enemy, Raoh. And other returning heroes have received stat buffs, including Raoh, Rei, and Gentle Fist Master, Toki. Puzzle & Dragons is a free download that you can grab from the App Store or Google Play. But be sure to hurry, as this collaboration is only going to be in-game for one week.